Home Clearing Set. A perfect gift for mom. 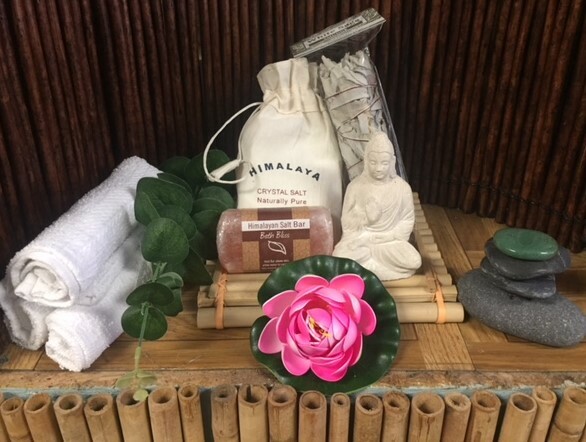 Sage, Himalayan salt and all-natural, untreated and unscented Himalayan salt bars for keeping the skin and body healthy and a lovely way to pamper. Himalayan salt effectively helps to soften and beautify the skin by cleaning pores and detoxifying the body. A meditation Buddha complete this peaceful set.